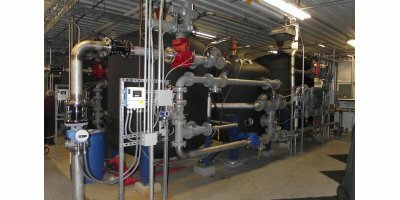 Multi-Tech™ Clarification & Filtration Systems in Packaged Pressure Configurations. Water filtration and clarification using the Multi-Tech system provides high quality water treatment with minimal footprint. Small foot print and modular construction makes installation and more cost effective. Less building space required. SnowPure's ExcellPureRO™ membranes are uniquely designed for high rejection of silica. Achieving low silica is important for many applications, including providing feedwater for electrodeionization (EDI) systems. We have matched these SXR™ membrane elements to specific Electropure™ EDI modules. MYCELX systems can be implemented to remedy existing oil removal equipment and systems that are failing to meet environmental discharge regulations. 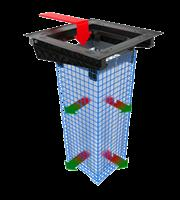 MYCELX systems can also extend the life and increase the efficiency of conventional systems. By MYCELX Technologies Corporation based in Duluth, GEORGIA (US) (USA). In the sewage technology flotation means floating of wastewater components such as fats and oils. Flotation is used in many areas, for example, in the food and beverage industry, milk processing and slaughterhouses. By BIOTURBO - Kurtze based in Maisach, GERMANY. 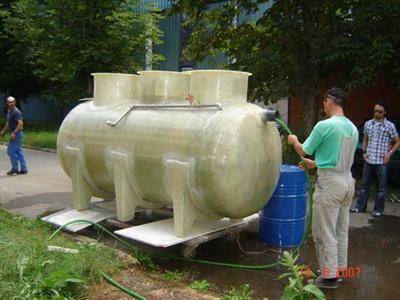 Bioengineering’s BIG-G10-1000 treatment plants comprise a single tank (unitank). Within the tank there are three treatment stages: biological treatment (biozone- nitrification and denitrification) and humus settlement. By Bioengineering Ltd. based in Skopje, MACEDONIA. The Roediger automatic train extraction pistol allows efficient servicing of wastewater tanks from trains under providing safety and occupational health for the operators due to drip-free and odourless wastewater disposal. The Roediger automatic train valve allows simultaneous servicing of train wastewater tanks type 183 by a single operator providing safety and occupational health for the operators due to drip-free and odourless wastewater disposal. By Ekostandarts Tehnologijas based in Riga, LATVIA. Skid System With Custom Flow Rates. Manual Or Auto Wipers. The Ability To Mount Power Enclosure. PLC Interface. Remote Monitoring. UVT Monitoring. 316L Stainless Steel Construction. Certified Trained Technical Sews. Remote Modified 1p56 (Nema 4x). By Aqua Azul Corporation based in Armona, CALIFORNIA (USA). Gasco Desalting Systems uses licensed technology from an internationally recognised company to provide solutions to even the most difficult to treat crudes. We are also able to supply complete upstream pre-heat trains as well as downstream water treatment systems to treat produced water down to safe levels for re-injection back into the well. By Gasco Pty Ltd. based in Bayswater, AUSTRALIA. By Stormwaterworks.com based in Stamford, CONNECTICUT (USA). The laboratory scale FBG simulates the range of operating conditions from self-sustained gasification to fully heat-assisted gasification. 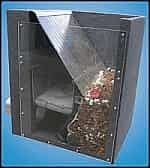 It has been designed primarily for a biomass feedstock. Gas sampling and analysis are conducted online. By LubeCorp Manufacturing Inc. based in Calgary, ALBERTA (CANADA). BrineRefine is a smart, compact, and modular chemical softening system. It reduces chemical softening costs with precision dosing and a simple solids management system. Improve your recovery and minimize fouling risk with BrineRefine’s intelligent controls that communicate with downstream assets, like RO or evaporators.